If you tend to overeat or eat too much junk food, it can make your body feel bloated and unhealthy. Your body is your temple. To stay healthy, you need to take good care of it. Nowadays, your body is exposed to an increasing number of chemicals via our food supply. Therefore, you should treat your body with healthy foods that detoxify your body and make you feel better. 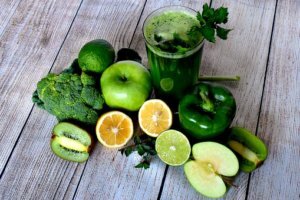 Detoxification is a complicated process of removing toxic substances from a living organism, including the human body, which is mainly carried out by the liver. This complicated process is generally done in your liver in two phases. First, toxic substances are converted into highly reactive metabolites, and then these toxins are excreted. Lemons: Citric fruits such as lemon and oranges are loaded with Vitamin C, which fights free-radicals which damages your body. They are also alkaline in nature, helps restore body’s pH balance and make your immune system strong. Hence, they are great for detoxification. You should start your day with a glass of lemon water to speed up your digestion. Leafy green vegetables: Leafy greens vegetables are packed with fiber, minerals, and antioxidants. It prevents oxidative stress and boosts the level of chlorophyll in your digestive tract. Thus, helping you detox. You can eat them as a salad or make a vegetable soup. Avocado: Avocado is rich in Omega 3 fatty acids, minerals and loaded with nutrients such as vitamin C, vitamin K, Vitamin B, Vitamin E, and Vitamin A. Potassium is the main health component in avocado which helps in promoting healthy heart contraction, and reduces high blood pressure. It is also a good source of dietary fiber, which helps to reduce the risk of heart diseases, type 2 diabetes, and obesity. You can easily have it as an evening snack, and the satiety you will feel will be really high. Nuts & Seeds: Nuts and seeds are high in fat-soluble vitamins that activate the brain cells and improve overall cell functioning. You can have almonds, sunflower seeds, walnuts, and flax seeds as a healthy snack. Flaxseeds are magic for your body, as it is an important source of alpha-linolenic acid and omega-3 fatty acid which reduces the risk of cardiovascular diseases and strengthens your immune system. Green Tea: Green tea contains antioxidants, and is a good alternative for all those who do not like coffee. Caffeine in green tea mobilizes fatty acids from fat tissue, hence can be used as energy storage. Green tea is beneficial, as it boosts your metabolism, stimulates your digestion, and improves kidney function. Green tea is low in calories and can be easily incorporated into a healthy eating plan for weight loss and maintenance. Apart from these, you should keep yourself hydrated by having plenty of water. Hydration keeps your cellular machinery at peak performance. You should at least drink 8-10 glasses of water every day, as it helps in removing unwanted acids from your body and provide glowing and clear skin. Exercise also helps your body to excrete toxins and burn fat more effectively. Start with finding a consistent workout plan that fits your schedule, and preferences. You should also have quality sleep, as without the quality sleep your body cannot effectively detoxify. PREVIOUS POST Previous post: How Internet killed your privacy? What’s up friends, its great post regarding teachingand fully defined, keep it up all the time.